Games with Gold for December Announced | Nerd Much? With it being the giving season, one might Games with Gold for December to impress. Instead, Microsoft looks like they’re taking the month off. The upcoming slate isn’t necessarily bad, it’s just boring. On the Xbox One side of things, Games with Gold for December offers us Q.U.B.E. 2 as of December 1st. Developed by Toxic Games, the single-player physics-based puzzle title received generally positive reviews when it released earlier this year. It holds a 78% on Metacritic and was praised for its mysterious narrative and constantly evolving gameplay. You’ll be able to download it for free through the end of the year. Beginning December 16th, Never Alone gets added to the Games with Gold for December slate. By Upper One Games, it’s a puzzle-platformer adventure game which originally released just about 4 years ago. The Xbox One version was panned a bit more than others, currently sitting at a 66% on Metacritic. It will be downloadable from December 16th through January 15th. On the Xbox 360, Games with Gold for December brings us Dragon Age 2 and Mercenaries: Playground of Destruction. Dragon Age 2, coming to us from BioWare, is the predecessor to the fantastic Dragon Age: Inquisition. It originally released on 360 in March of 2011 and earned a 79 Metascore upon release. It’s quite an old title at this point, although, I suppose most 360 offerings would be. Speaking of old, Mercenaries: Playground of Destruction originally released on the original Xbox in 2005 and earned itself pretty positive reviews with a Metascore settling in at 86. . It was just recently released on the Xbox Live Store back in April. It’s considered an open world action-adventure game that came to us from the former team at Pandemic Studios. It’s available for download on 360 from December 16th through December 31st. 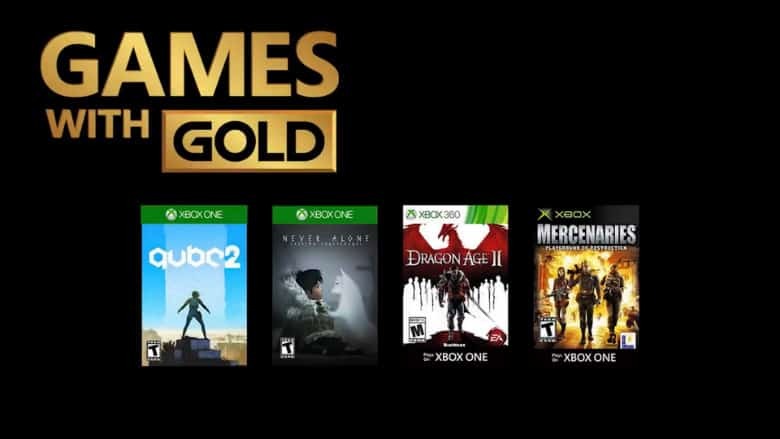 Hopefully the Games with Gold for December lineup is just Microsoft emptying out their closets and we’ll get to see some exciting IPs thrown into the mix as we enter 2019. We’ll let you know next month.